From swimming pools to beaches to freshwater lakes, Virginia is filled with plenty of places to enjoy the water with friends and family. While swimming is a fun and healthy activity for most people, drowning is a serious risk for adults and children alike. In fact, the Virginia Department of Health (VDH) states that drowning is one of the leading causes of injury and death among children between the ages of 1 and 4. According to the VDH, five accidental drownings occurred during a single week from May 27, 2016 to June 5, 2016. The VDH states that most drownings involving young children happen in residential settings with adult supervision. Yet other non-swimming-related drownings may involve children younger than 1 year of age in toilets, buckets, or bathtubs. At CHASENBOSCOLO our Virginia drowning accident attorneys are committed to getting justice and full compensation for injuries or deaths caused by the reckless or negligent actions of others. We firmly believe that you and your loved ones should not have had to endure this devastating tragedy, and we’re here to help you hold the responsible party accountable. Are you concerned about how you’ll afford to hire an attorney? Don’t be. We offer a No Fee Guarantee®, which means that you won’t pay us a single thing until we settle or win your case. Contact us at (703) 538-1138 or fill out a contact form to schedule your free, no-obligation consultation with us today. Do I Need A Drowning Lawyer? A drowning accident is an extremely stressful and confusing event for all people involved, and family members can struggle in their efforts to determine how their loved ones were injured or killed. In many cases, the potentially liable parties will deny any negligence or wrongdoing, and they may even blame a victim for their injuries. The first benefit of hiring an attorney is that they will be able to conduct an independent investigation into the incident. The lawyer will work to determine exactly why the drowning occurred and who can be held liable for the damages caused. This investigation should be performed as quickly as possible because much of the evidence involved in these types of cases can be extremely time-sensitive. It is also important to retain legal counsel before you speak to any insurance company about the drowning. The insurers for liable parties will often reach out very quickly to victims in these cases in order to try to attempt to settle the claim at a lower number. An agent may contact you and offer a proposed settlement to your case, but the offer is almost assuredly far less than what you are actually entitled to. A knowledgeable attorney will work to help you get full and fair compensation. CHASENBOSCOLO has more than 100 years of combined legal experience that includes a wide range of practice areas. 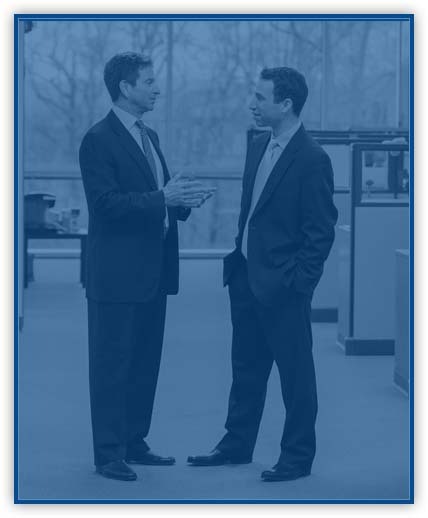 Our firm was founded in 1986 with a philosophy of putting our clients first. We have since grown to 25 attorneys and over 90 professionals ready to assist injured residents of and visitors to Virginia. Managing partner Barry M. Chasen has tried hundreds of cases in state and federal courts in Virginia. Managing partner Benjamin T. Boscolo has, among his many legal achievements, fought for changes to Virginia state workers’ compensation laws. Martindale-Hubbell awarded both lawyers an AV Preeminent rating, which is a peer rating denoting the highest level of professional excellence. We at CHASENBOSCOLO understand that you may be overwhelmed financially following a catastrophic and emotionally painful drowning incident. Our firm respects the difficult time you are going through. That’s why we provide compassionate and comprehensive legal representation under our No Fee Guarantee.® This means that you pay us nothing unless you receive a monetary award. The attractive nuisance doctrine is basically an exception to the provision of premises liability law that prohibits the recovery of damages for trespassers. An attractive nuisance refers to an object like a swimming pool that is likely to appeal to children who are too young to appreciate the dangers of using it without supervision. All pool owners need to take proper security measures with their pools to make sure they are inaccessible to small children when they are not being used. Private property owners can be liable for drownings that occur in their pools when they did not erect the necessary protection. Pool owners can also be liable for acts of gross negligence, such as permitting reckless behavior that endangers other swimmers or violations of certain safety requirements. Drownings often result in death, and the family members of the deceased may be entitled to damages for loss of consortium, loss of parental guidance, and loss of financial services. Even if a person does survive a drowning, they may still suffer a traumatic brain injury (TBI) that will usually lead to a permanent disability. TBI victims often struggle to maintain employment, and some may even require full-time assistance with all of their daily needs. How is liability determined for a drowning accident? Liability for a drowning depends on the situation in which a person drowns. In a public pool, there are typically lifeguards that should provide assistance, and the entity that owns the pool could be liable if the lifeguards were not properly trained. In a private pool, the owner could be liable under the attractive nuisance doctrine for an accidental drowning. Some drownings are also the result of boating accidents caused by a boat operator’s negligence or possible intoxication. The owner of the boat may be liable in such cases. What kind of barrier do I need if I own a pool? The United States Consumer Safety Product Commission (CPSC) states in its Safety Barrier Guidelines for Residential Pools that barriers surrounding residential pools can include fences, power safety covers over the pools, walls, or door alarms for houses. The CPSC noted that fences should be four-sided (do not use the house as a side), and successful barriers should prevent children from getting over, under, or through. In other words, children should only gain access when adults are present. According to the CPSC, all above ground pools should have barriers in which there is either a barrier mounted on top or the structure itself. Portable or inflatable pools also require barriers when they are left filled after being used. What is near drowning? What about dry drowning or secondary drowning? benefits? The CPSC reported in September 2017 that at least 163 children under 15 years of age fatally drowned in swimming pools or spas from Memorial Day through Labor Day 2017. According to the CPSC, 112 of those victims, or nearly 70 percent, were children under 5 years of age. During Memorial Day through Labor Day 2016, the CPSC reported 205 children under 15 years of age drowned in swimming pools or spas. The 140 children under 5 years of age were, again, almost 70 percent of the total victims. According to the CDC, an average of 3,536 fatal unintentional drownings occurred annually in the United States between 2005 and 2014. This translates to a rate of about 10 drowning deaths a day, and the CDC stated that approximately one in five fatal drowning victims is a child 14 years of age and younger. More than 50 percent of drowning victims treated in emergency departments require hospitalization or transfer for further care, and the CDC states that such nonfatal drowning injuries can cause severe brain damage. The World Health Organization (WHO) reported that drowning is the third leading cause of unintentional injury death in the world. Drowning accounts for 360,000 drowning deaths worldwide annually and 7 percent of all injury-related deaths. If you or a loved one sustained severe injuries or was killed in a drowning accident in Virginia, you deserve answers. The experienced attorneys of CHASENBOSCOLO make are available 24 hours a day, seven days a week for our clients. We are here to address all questions and concerns you may have in a completely free initial consultation. Call us at (703) 538-1138 or contact us online today.